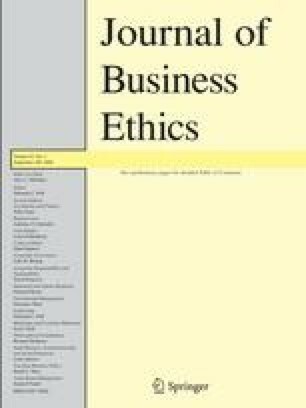 Forsyth’s (1980) Ethics Position Questionnaire and Hunt et al.’s (1989) Corporate Ethical Value Questionnaire are used to examine the ethical ideologies of senior managers from organizations listed in the Australian Stock Exchange. The results indicate how corporate ethical values, religion, gender, and age are related to the idealism and relativism of senior Australian managers. After discussing the results, limitations of the study are offered. Finally, managerial implications are provided and recommendations for future research are given. Mario Fernando (PhD, MBA, BCom) is a Senior Lecturer at␣the School of Management and Marketing, University of Wollongong, Australia, and a Visiting Research Fellow of the Centre for Studies in Religion and Society, University of␣Victoria, Canada. His current teaching and research focus is on organizational virtuousness, workplace spirituality, ethical and spiritual leadership. His most recent work is due to be published in a book titled Spiritual Leadership in the Entrepreneurial Business: A Multifaith Study (2007, Edward Elgar). Shyamali C. Dharmage (PhD, MD, MSc, MBBS) is a Senior Lecturer at the Centre for MEGA (Molecular, Environmental, Genetic & Analytic) Epidemiology, School of Population Health, University of Melbourne, Australia. Her main research focus is on the epidemiology of allergy and airway diseases. In addition, she contributes to the methodological and analytical aspects of research projects in other areas. Shamika Almeida (MSc, MBA) is a PhD candidate in the Work and Organisational Studies Discipline at the University of Sydney, Australia. Her research is on social and human capital issues. Research assistance provided by Renae Hellmund is gratefully acknowledged. Measurement Scales for Idealism, Relativism, and Corporate Ethical Values Source: European Journal of Marketing, 36(7/8), Karande, K., C. P. Rao and A. Singhapakdi: `Moral Philosophies of Marketing Managers: A Comparison of American, Australian and Malaysian Cultures', pp. 768–791, Copyright (2002) with permission from Emerald. A person should make certain that their actions never intentionally harm another even to a small degree. Risks to another should never be tolerated, irrespective of how small the risks might be. The existence of potential harm to others is always wrong, irrespective of the benefits to be gained. One should never psychologically or physically harm another person. One should not perform an action which might in any way threaten the dignity and welfare of another individual. If an action could harm an innocent other, then it should not be done. The dignity and welfare of people should be the most important concern in any society. It is never necessary to sacrifice the welfare of others. What is ethical varies from one society to another. Moral standards should be seen as being individualistic, what one person considers to be moral may be judged to be immoral by another person. Questions of what is ethical for everyone can never be resolved since what is moral or immoral is up to the individual. Moral standards are simply personal rules which indicate how a person should behave, and are not to be applied in making judgments of others. Ethical considerations in interpersonal relations are so complex that individuals should be allowed to formulate their own individual codes. Rigidly codifying an ethical position that prevents certain types of actions could stand in the way of better human relations and adjustment. Managers in my company often engage in behavior that I consider to be unethical. In order to succeed in my company, it is often necessary to compromise one’s ethics. Top management in my company has let it be known in no uncertain terms that unethical behaviors will not be tolerated. If a manager in my company is discovered to have engaged in unethical behavior that results in personal gain (rather than corporate gain), he or she will be promptly reprimanded. If a manager in my company is discovered to have engaged in unethical behavior that results in corporate gain (rather than personal gain), he or she will be promptly reprimanded.